Back on January 13, 2015, the tech giant Microsoft ended mainstream support for the popular Windows 7 OS but later announced that it’ll be ending support completely for Windows 10 on January 14, 2020. 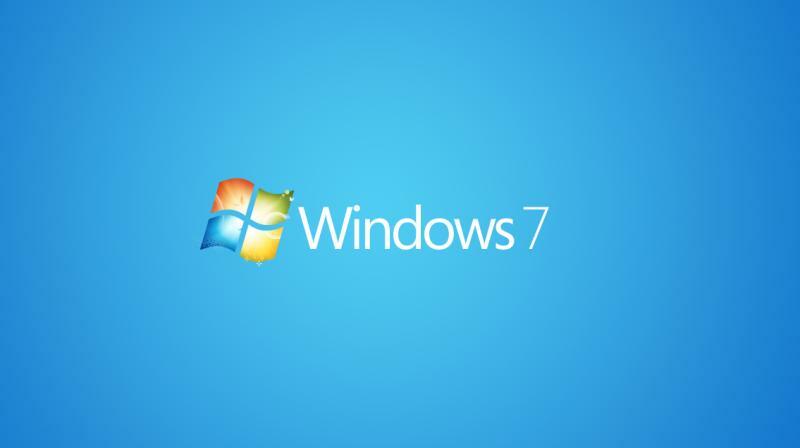 We all know Microsoft Windows 7 is loved by millions and even still prefered by many to date even though mainstream support has ended for it, it’s considered reliable and a more stable OS to Windows 10. Even after Microsoft had suggested that users should migrate to the latest Windows version, to continue to receive security update and update important updates, so many users had decided not to move to the new OS version (Win 10) and it has prompted the company to offer two years extra support to customers who are willing to pay for it. The reason for this being that a lot of Enterprise customers are still running Windows 7 operating systems on their computers. As a part of the Extended Security Updates (ESU) plan, Microsoft Windows 7 will continue to receive security updates until January 2023. It’s worth noting that ESU plan is only available to customers running Windows 7 Professional and Enterprise editions. Also, Microsoft will ensure users will be able to run Office 360 ProPlus on Windows 7 through 2023 if users decide to extend their support. Aside from this, Microsoft has also offered a new Desktop App Assure feature which is available for free; this service ensures that most of the apps designed for Windows 7 will continue to run on Windows 10 and if users encounter any problem, he/she can file a ticket via Microsoft FastTrack service. So what do you think about the Microsoft Windows 7 extended update? Tell us in the comments. And if you’re using a different Windows Os version, do tell us why you’ve chosen it over others. Have you ever wondered if you can actually run iOS apps on PC the same way you’re able to run Android apps on PCs with emulators? Well, I’m glad to let you know you can. Just like we have several Android emulators for PC and laptops, there are also many iOS emulators for Windows out there which allows users to run just any iOS app on your PC. We all know Android Emulators are basically focused on the gaming segment of the OS, giving users an immersive view and better controls in gaming as a normal PC game. But this isn’t the case for iOS emulators, although it can be used to play games and perform several other tasks, it basically giving you an iOS-like experience on PC. They let you run iOS apps without having to buy an actual iOS device which is expensive. So, in this article, we’ll be looking at the best iOS emulators for Windows. You’ll find a lot of iOS emulators for Windows on the internet today and even though they’re all meant to deliver the same outcome, you might be wary of which one to settle for. We have listed a few of the most popular and best iOS emulators for Windows out there. In no particular order, these are the 10 best emulators for Windows to run iOS apps on PC and laptops. MobiOne Studio is the most popular and undoubtedly the best iOS emulator for Windows PCs. It creates an iOS ready environment on Windows to run iOS seamlessly. MobiOne Studio includes many unique features from UI to UX with support for testing a large-sized app using Sync technology. Although MobiOne studio development has been discontinued, it can still be download and use on any Windows PC. The emulator doesn’t use too much of your Hardware resource, which means it can be installed on any PC and the best choice for developers who wants to develop cross-platform applications. Smartface is another great emulator to run iOS apps on Windows PC. Unlike MobiOne studio, Smartface is focused on the developer’s side. It enables developers to develop apps for iOS devices and test them to see it they’re ready to be deployed. Smartface works best when developers want to test cross-platform iOS apps, and it requires iTunes on your PC to run smoothly. The emulator isn’t totally free, however, you can still do a thing or two on the free version and upgrade to the professsional version to get better functionalities. Interestingly, Smartface also comes with support for Android OS and can be used in the same manner for Android apps developments. It is one of the best iOS emulators for Windows out there. Air iPhone Emulator another free iOS emulator, it is based on Adobe Air framework, very easy to use. The Air iPhone Emulator uses of the Adobe Air Framework to create beautiful GUI of iOS on Windows PCs. Air iPhone is mostly used amongst developers, as it allows developers to test their app functions before uploading the final code files. Although its a great emulator for iOS app, a few options/setting that is present in the actual iOS are not present in this emulator. You only need to download and install the Air iPhone emulator for Windows and Adobe Air framework to start working, no other progam is required for it to run. iPadian is another popular iOS emulator for Windows, and one of the interesting things about this emulator is he wide range of support it brings along. It can be installed and used on Windows 10 PC down to Windows Xp. iPandian, however, comes with its own unique design for PCs, it delivers an iPad like experience on the PC. It is also based on the Adobe Air framework and what i like the most about it is that, you don’t get the feeling of using an emulator, rather, it feels like you’re working on a real iPad. Although it doesn’t come with functions, it is one of the best iOS emulator for Windows out there on the internet. Ripple is one of the iOS emulators for Windows PC, it is a lightweight emulator and very simple to install. 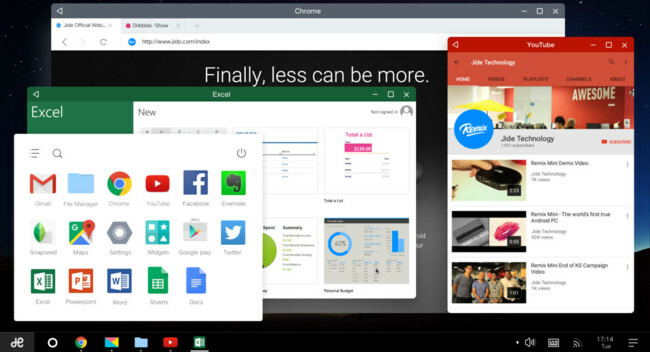 It comes in form of Chrome’s extension while retaining many features of the native iOS platform. Although is a Chrome extension, it’s not limited to tasks like games. Ripple also serve as a testing tool for various iOS applications before their final release. If what you’re looking for in iOS emulators is gaming, then, the Nintendo 3Ds emulator is what you should go for. As we all know, the Nintendo company is a game driven company and has produced several gaming consoles. The company released the Nintendo 3Ds emulator back in 2010 to cater for iOS lover who also wants the Android gaming experience on PCs and laptops. Nintendo 3Ds emulator offers great gaming experience for those who wish to play iOS games on their Windows computer or laptop. The emulator couples a lot of interesting features to make gaming smooth and immersive on Pcs. Download and install this emulator and discover more of its features. top-level gaming console features make this emulator software one of the most popular applications all over the world. Going by the name, you might want to take Appetize.Io for some sort of food site but it’s not even close to what it sounds like to the ear. Appetize.Io is a cloud-based iOS emulator for Windows, which means it doesn’t require any download or installation on your Windows PC or laptop. This is a very good iOS emulator and according to the developers, it is an excellent iOS emulator for Windows. The software is not free though, it is available free for the first 100 minutes per month, and you will have to pay $0.05 per minute once you’ve exhausted the limits. This is another credible emulator to run iOS apps on Windows PCs or laptops. Due to it’s fewer features, the iPhone Simulator is mainly used for gaming, and not a good option for developers. Nonetheless, the iPhone simulator replicates the iPhone looks and feels while making gaming seamless on PCs. The simulator is pretty simple to use and you’ll be wowed by the level of graphics it offers to enhance the gaming experience on PCs and laptop. 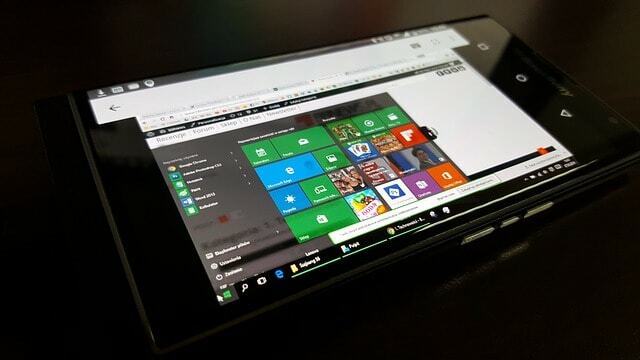 This is the first official iOS emulator for running iOS apps on Windows PCs. Xamarin TestFlight, mainly for testing apps developed for iOS devices. It is a very good emulator but unlike others, we’ve discussed above, Xamarin TestFlights comes with limitations for iOS version. It will only run apps that are developed to run on iOS 8.0 or later. Aside from the limitations, it is also complicated to run, and more suited for professional use. If you’re a developer looking for something great and can get over the learning curve, TestFlight happens to be an incredible iPhone emulator/simulator. This is also a good iOS emulator, it offers similar features to Xamarin and very good for testing iOS apps. Unlike Xamarin, this is still easy to use and you will have no problems whatsoever when it comes to testing out the iOS applications on your PC. If you’re a developer, one of the best things you’ll get from this emulator is the ability to easily debug with the help of Windows Visual Studio Enterprise, and if you’re just someone who wants to try iOS apps on Windows, you can lay your hands on it without any problems. The software is easy to use and it renders a good iOS experience for Windows users. It is one of the best iOS emulators for Windows users. 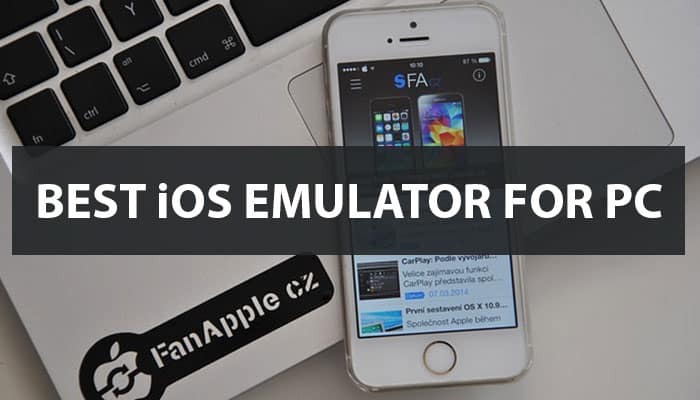 iOS emulators are as good as Android emulators, however, most of the iOS emulators for Windows is mainly for developer use and not totally free like the Android emulators. So, what do you think of the above list of best iOS emulators for Windows PC? if you find it helpful, don’t be shy to use the share button.